Plagued with dry, dull-looking body skin? Infused with a zesty, fresh and clean scent, this luxurious and aromatic cream helps turn the dull and drab into the hydrated and glowing. You're in for a world of pampering with this moisture-nourishing butter with an-oh-so-delectable aroma. I love this cream. Its thick, therefore, a little goes a long way. Its great for dry skin and the basil scent is amazing! I highly recommend this. 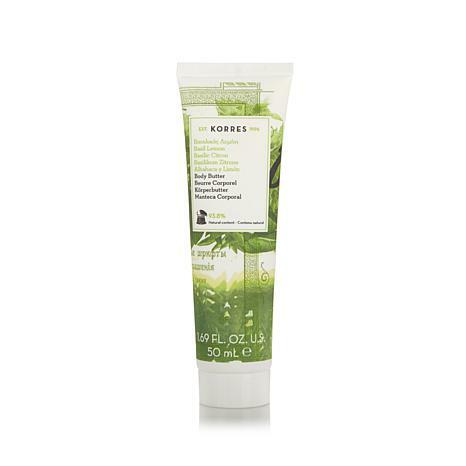 This Basil Lemon is my favorite moisturizer & Korres scent. I'm thrilled to have it in travel size, since I don't like to check my luggage, and i need it to fit in a 3-1-1 bag. I purchased this last year and again this year, for myself. The scent is not too strong, more fresh and clean. I dont care for really sweet scents or overpowering perfumes. It really moisturizes without being greasy. A little goes a long way. I recommend it. 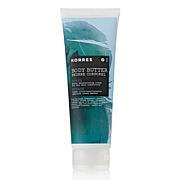 Korres White Blossom Body Butter - 1.69 fl. oz.